defend itself with out bee keeper involvement. JFK was very busy yesterday when I got home. 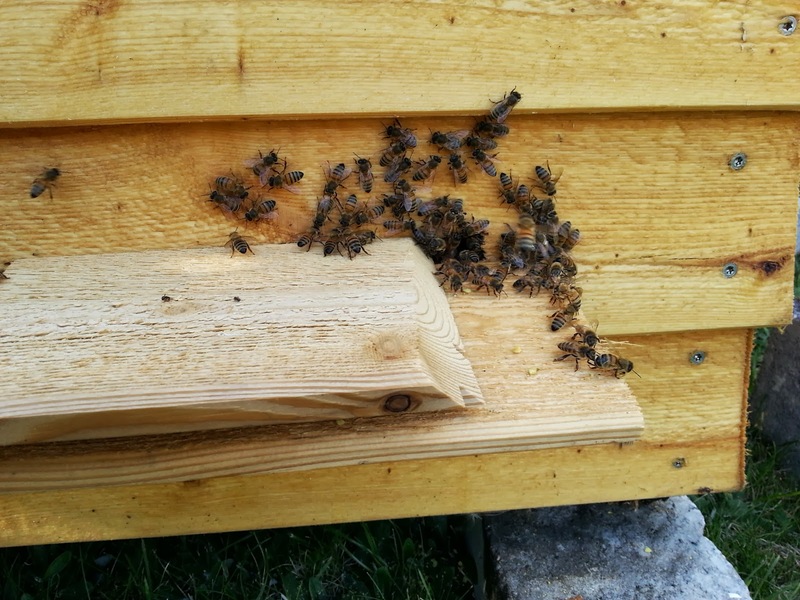 I had the entrance set to one bee to help them defend the hive after Saturdays robbing incident. I though this was a sign of robbing again. After consulting with some people on Beemaster's International Beekeeping Forum Facebook page they though the problem was congestion at the entrance. I opened it up and a huge mass of bees flew out. 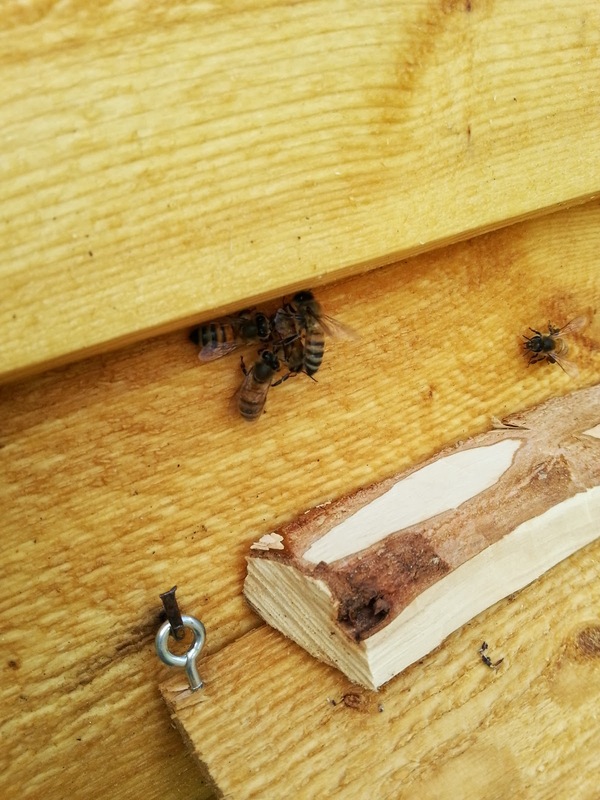 To me this looks like they are fighting but again the people on Facebook said that with the entrance set to 1 inch or 2 centimeters the bees can defend the hive just fine so its normal to see them fighting a little. Can't we just get along? It was almost dark before they started to calm down and all go back inside. I have feeders in both of the hives and i just ordered some fondant from the bee keeping suppliers. I ordered 2 boxes 15 kilograms each this should give them enough stores for the winter. I also heard from my Facebook friends that as long as they both have plenty of food in the hives they wont bother robbing each other. But I'm still not sure that what i was seeing was robbing. Apparently with full scale robbing in action there will be hundreds of bees involved. Maybe I'm just the over worried bee keeper.